Important: descriptions changes to take effect, you must republish the concerned Applications after change the orientation. 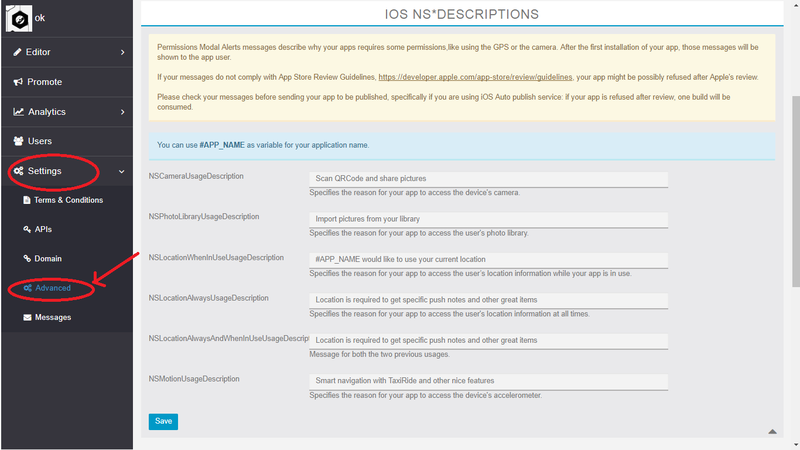 Permissions Modal Alerts messages describe why your apps requires some permissions,like using the GPS or the camera. After the first installation of your app, those messages will be shown to the app user. If your messages do not comply with App Store Review Guidelines, https://developer.apple.com/app-store/review/guidelines, your app might be possibly refused after Apple’s review.